To the great advantage of Lembeh Resort the artisanal farmers of North Sulawesi produce the freshest tropical vegetables and fruits throughout the year while the bountiful Celebes Sea offers some of the best seafood in all of Indonesia. To ensure genuine deliciousness the resort receives daily deliveries of fresh locally grown produce, much of which is cultivated with traditional and organic methods. Our fish is line-caught and purchasing every morning from small scale local fisheries, only by choosing to acquire our seafood locally can we guarantee absolute freshness. The spacious and charming restaurant is newly refurbished and located centrally within the resort with beautiful views of the Lembeh Strait. It is on the upper level of the main building and is open from 7 a.m. until 10:30 p.m. for breakfast, lunch and dinner. Breakfast is served as a buffet with a wide variety of fresh tropical fruits, healthy juices, freshly baked breads, imported cheese, cereals, yogurts & oven-fresh pastries. The breakfast menu is a mix of both western and of course Indonesian dishes. Pancakes, waffles, french toast and eggs any style is made á la minute and to your liking. Lunch is usually served as a buffet as well, with an assortment of fresh salads, soup, western and Indonesian dishes and homemade desserts. The sumptuous menus change daily to ensure variation and guarantee freshness. 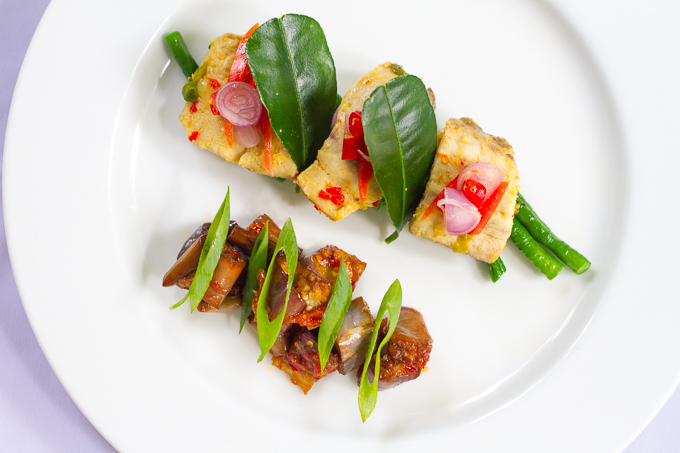 Dinner is served á la carte, our chefs prepare a wide selection of international & Indonesian cuisine catering to all tastes. 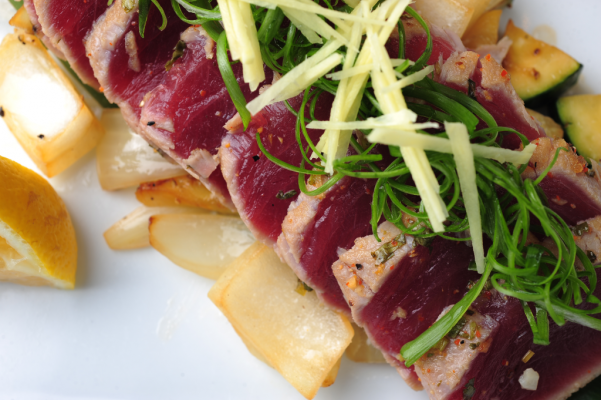 The chefs will happily do their utmost to accommodate any special requests or dietary requirements. Morning & afternoon snacks are served between dives, and teas & coffees are available throughout the day in the dining area as well as at the pool-bar. 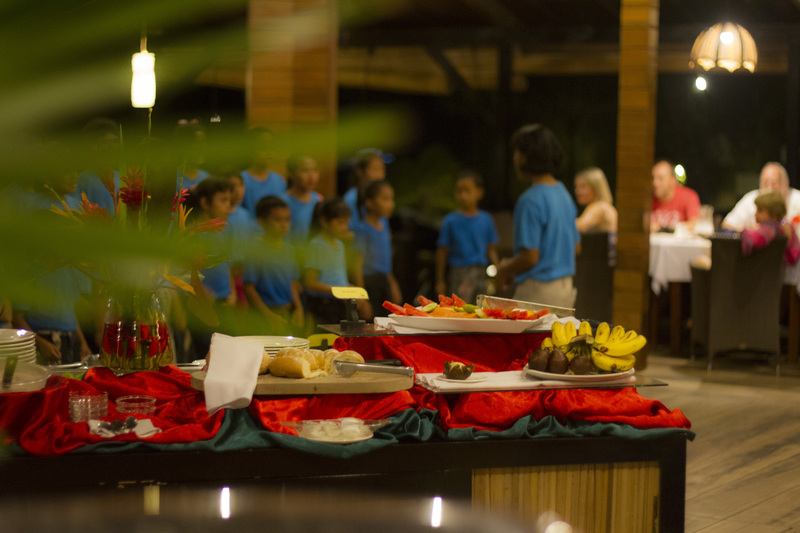 In addition to the daily menu the resort features Indonesian BBQ nights where guests can enjoy a delicious spread of authentic Indonesian dishes, a great chance to try the local specialities all the while being entertained with song and dance by the local Sunday school choir. 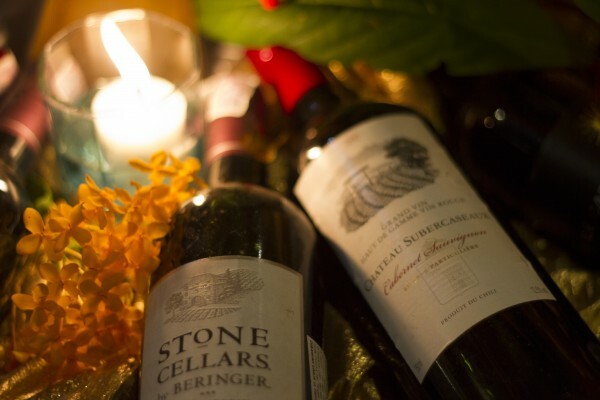 Our guests may enjoy a bottle of wine from our temperature-controlled wine room, sip a refreshing cocktail or simply have a cold local Bintang beer while sitting at our bar. The new poolside bar is one of the best spots to enjoy the view over Lembeh Strait between dives or gather with friends for sunset. You can chat with other guests and share your muck diving experiences, have a drink while watching the sunset, or simply stargaze after dinner. Cool off in our freshwater swimming pool or relax on the comfortable sunbeds in the shade of an umbrella, the pool and sitting area is just meters from the seaside and offers stunning views of our surrounding volcanoes and spectacular sunsets across the Lembeh Strait. Towels are provided for your use. 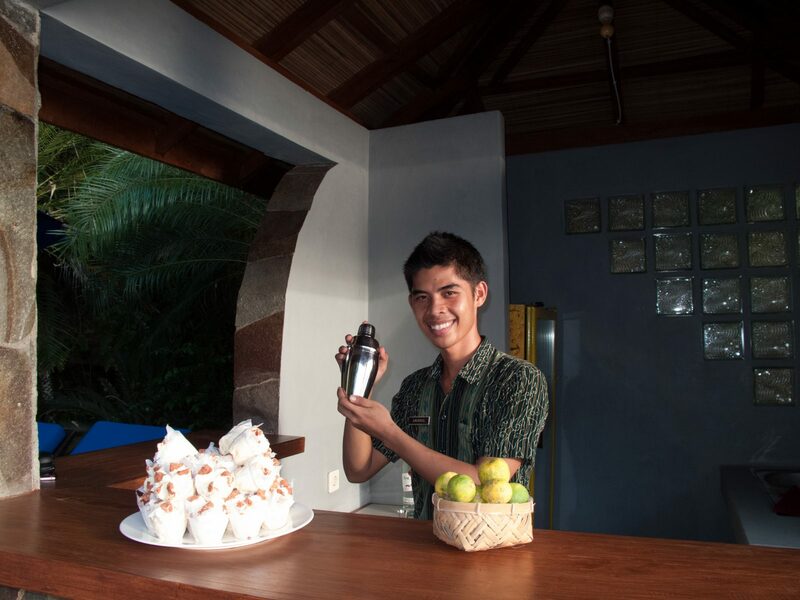 Our pool bar staff offers freshly made snacks between dives, ice-cold beverages and coffee & tea. If you are so inclined, order an espresso, café latte, or a homemade ice cream after lunch. Beautiful sunsets and ice-cold beer Bintang or tropical frozen cocktails are a superb way to end your dive day.